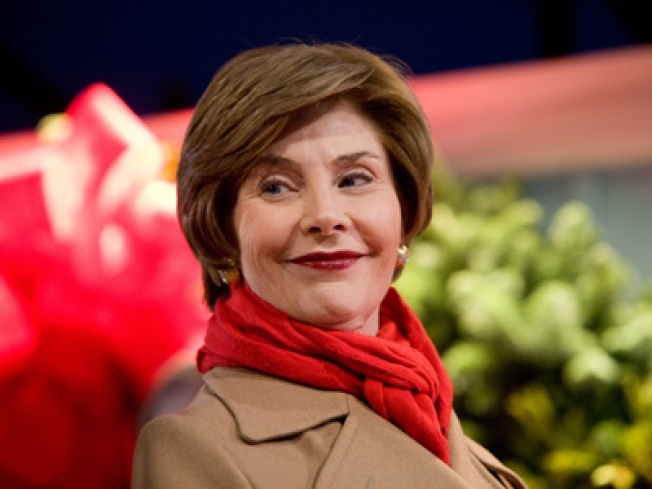 Laura Bush will appear on "Fox News Sunday" during one of the last weekends of her husband's administration. Top aides from the incoming Obama administration and First Lady Laura Bush will make the rounds on this Sunday's talk shows, the last of 2008. Senior adviser David Axlerod will make appearances on NBC's "Meet the Press" and CBS's "Face the Nation" while incoming press secretary Robert Gibbs sits down with George Stephanopoulos on ABC's "This Week." Former Clinton White House chief of staff Leon Panetta and Ken Duberstein, Reagan?s former chief of staff, join Gibbs to round out "This Week." Illinois Lt. Gov. Pat Quinn and economist Paul Krugman meanwhile will follow Axelrod on CBS. Elsewhere, the first lady will be on Fox News Sunday to look back on her husband's last eight years as president and ahead to their new life in Dallas. And CNN's "Late Edition" reflects on the year that was, airing a compilation of interviews with President-elect Barack Obama, Alaska Gov. Sarah Palin, Sen. Hillary Clinton (D-N.Y.), New York Mayor Michael Bloomberg , Microsoft founder Bill Gates and CNN founder Ted Turner.